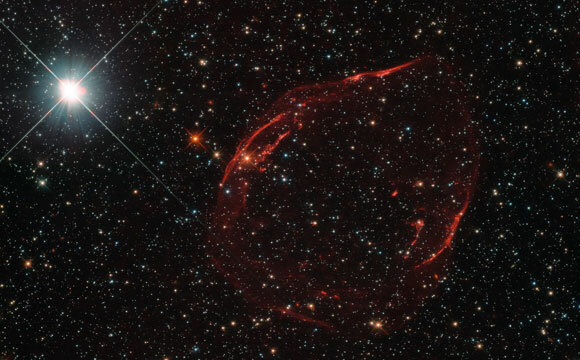 This newly released Hubble image shows the aftermath of an exploding star that was located in the Large Magellanic Cloud. Several thousand years ago, a star some 160,000 light-years away from us exploded, scattering stellar shrapnel across the sky. 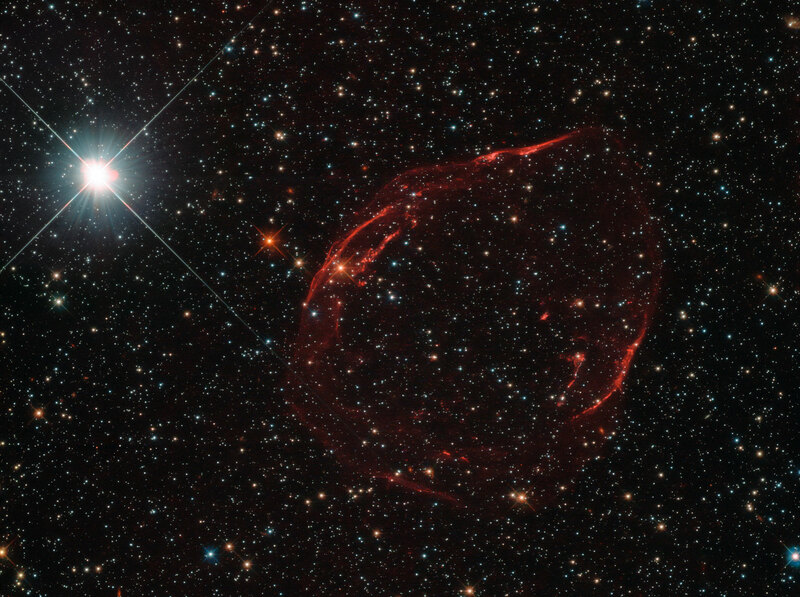 The aftermath of this energetic detonation is shown here in this striking image from the NASA/ESA Hubble Space Telescope’s Wide Field Camera 3. The exploding star was a white dwarf located in the Large Magellanic Cloud, one of our nearest neighboring galaxies. Around 97% of stars within the Milky Way that are between a tenth and eight times the mass of the Sun are expected to end up as white dwarfs. These stars can face a number of different fates, one of which is to explode as supernovae, some of the brightest events ever observed in the Universe. If a white dwarf is part of a binary star system, it can siphon material from a close companion. After gobbling up more than it can handle — and swelling to approximately one and a half times the size of the Sun — the star becomes unstable and ignites as a Type Ia supernova. Be the first to comment on "Hubble Telescope Views Exploding White Dwarf Star"